Yep, you read that correctly. 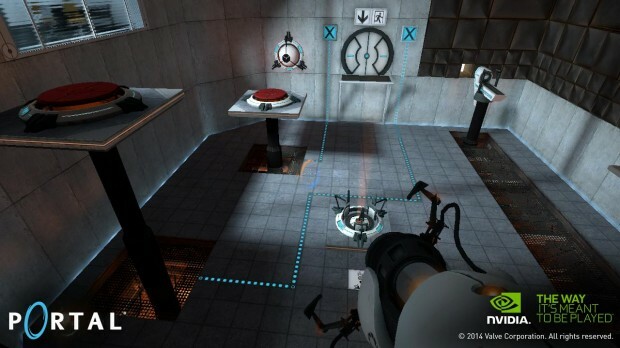 Valve’s hit game Portal has finally made the leap to mobile Android devices from PC. It seems Valve teamed up with NVIDIA Tegra as they just published Portal on the Google Play store. This is extremely exciting news as the original Portal has won over 70 industry awards and has a Metacritic score of 95%. Needless to say Portal is a great game and it is exciting to see how it plays on mobile devices. If you don’t know of Portal then you’ve clearly been living under a rock for the past few years. But basically Portal is a first person shooter puzzle game where your gun shoots portals that you use to traverse various rooms. There is also a loose story line which is full of dark humor. With that being said now that you can play Portal on your mobile Android device how well does it play? Well, it controls fairly well by itself but it is perfectly adapted for use with the NVIDIA Shield controller. Either way you can get Portal for $9.99 which is a great price to play this masterpiece wherever you want.